Kransekage is a traditional cake served at New Year's Eve at midnight with champagne, at weddings (back in the days) or at special occasions. 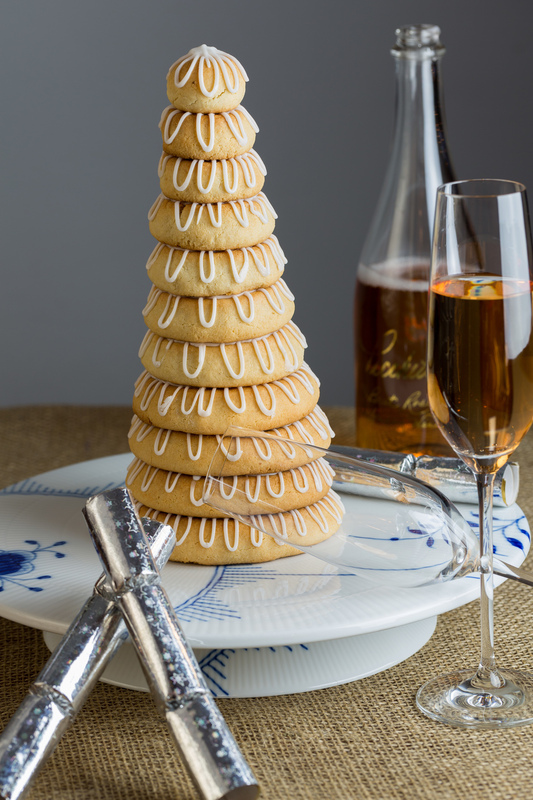 I like kransekage with a sweet champagne, because the sweetness of the cake makes the champagne very sour. Served with coffee it is actually perfect, but not very festive. 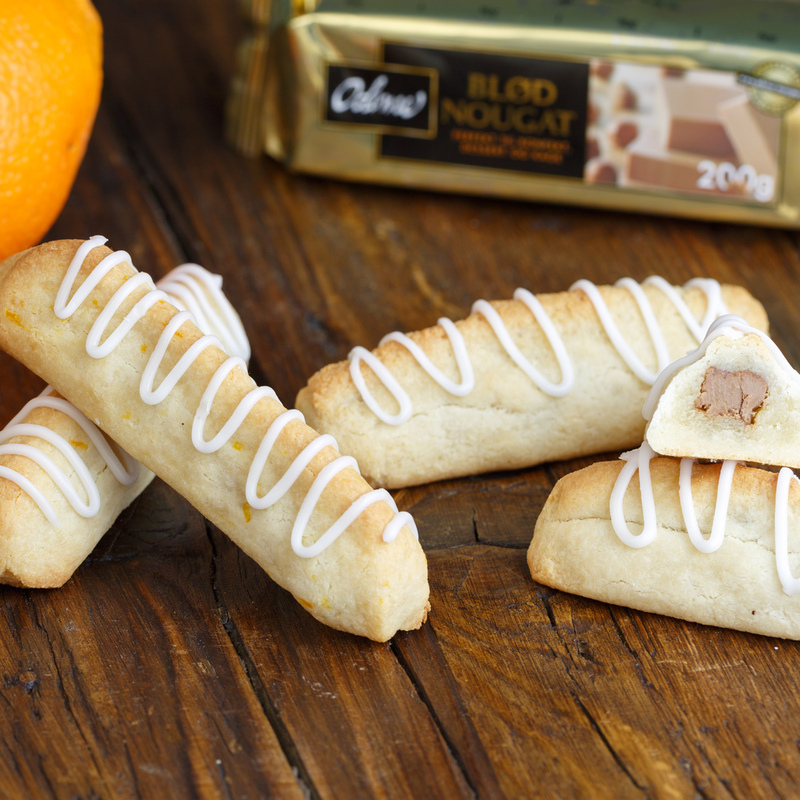 Kransekage is made from Marzipan, an almonds paste, sugar, almonds and egg whites. Divide dough in 4. Roll each part into a 45 cm (18 inch) long sausage. Wet your fingers with a little water and gently press each log into a rounded triangle, continue to wet fingers as needed but careful not to get dough too wet. 7 cm (2 3/4 inches) to make the top ball. Form the rings on a baking sheet lines with parchment paper. Level the top of the rings by putting a baking sheet on top. Don't press to hard. Bake for about 12 minutes or until golden. Allow to cool completely. Put the icing on the baked rings. Start with the biggest. Make sure to put the next on top of it before the icing is dried. Or glue the rings together with small dots of icing. Decorate the kransekage with flags and confetti. You can use tempered chocolate instead of the icing. This year, I weighed opted for another approach. Making a 10 tiered top, I used 4 X 165g of the dough and rolled then into 4 x45 cm logs. + 1 x 81 g for one 22 cm log.